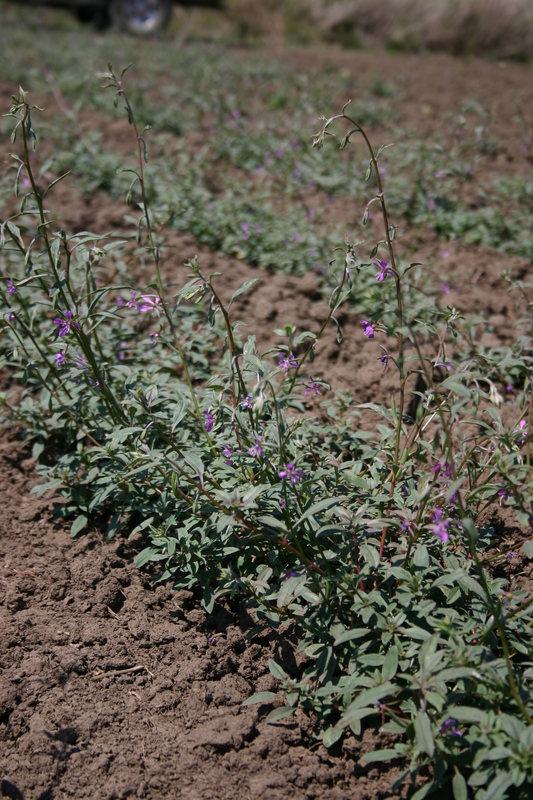 Diamond Clarkia is a native annual forb. 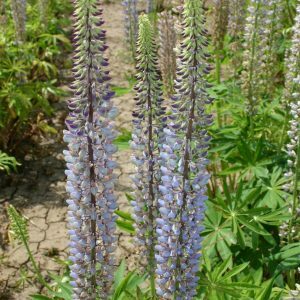 It is distributed throughout the wild across a range that encompasses most of western North America and can be found in woodland habitats. 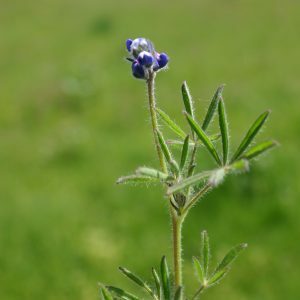 The species grows at elevations extending from sea level to nearly 8,000 feet. 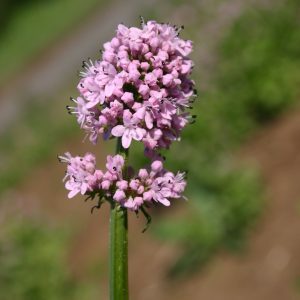 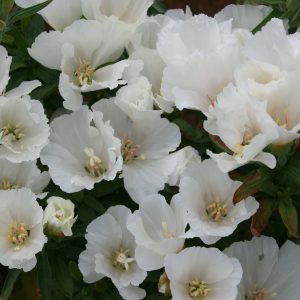 The plants are narrow and stemmed with few leaves and the diamond bloom it produces has four pink petals with a variance of different shades and patterns. 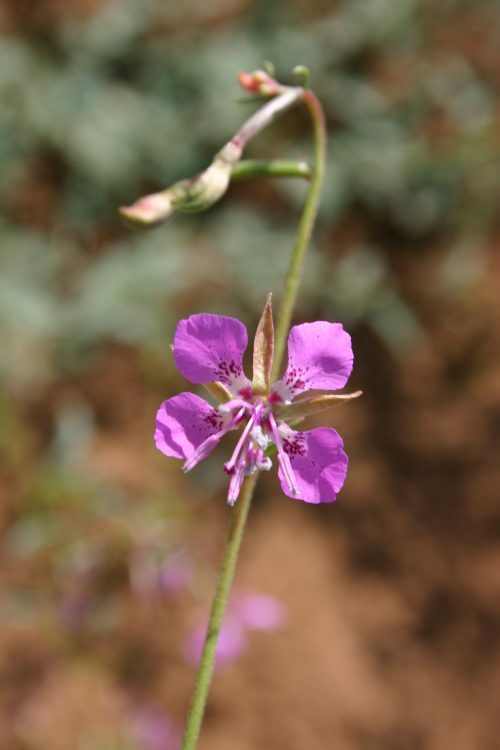 Diamond Clarkia grows to 3 feet tall.